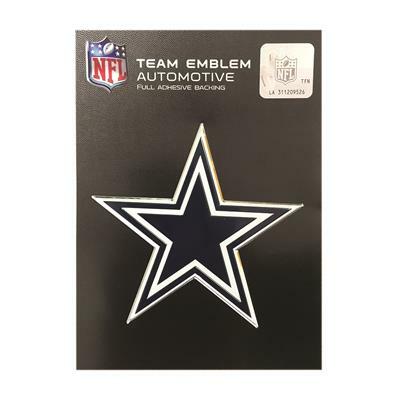 Dallas Cowboys shiny chrome auto emblem (3.25"" x 3.25"" x .25"") by Elektroplate. 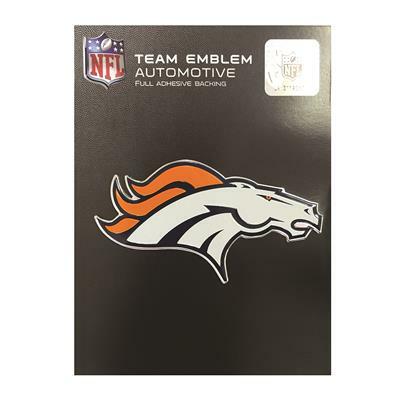 All-metal (NOT plastic) with a chrome-plated frame and a full-color domed decal insert, Made in the USA. The decal is UV-protected with a laminated 1/8” thick PVC made to withstand any outdoor conditions. The emblem attaches via paint-safe 3M adhesive foam tape. 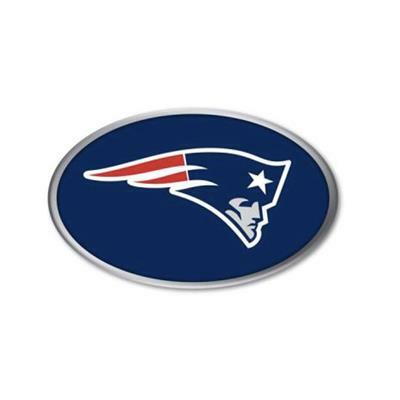 All Elektroplate car emblems are comprised of a chrome-plated metal finish made to withstand harsh outdoor conditions. 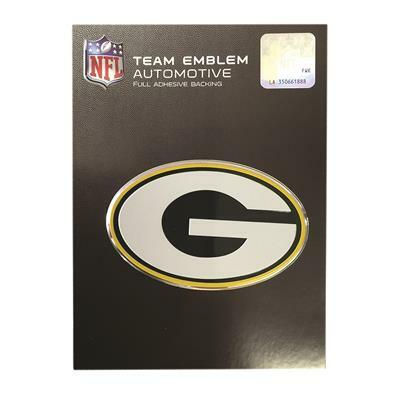 This auto emblem will look brand new for years to come (as opposed to cheap imitations that will fade or chip within months of being on your vehicle). 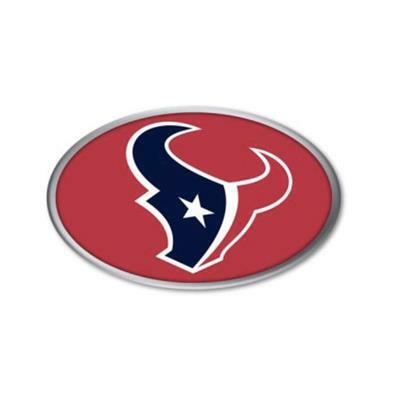 Our high-end auto emblems are the perfect way to showcase your team pride everywhere you drive. 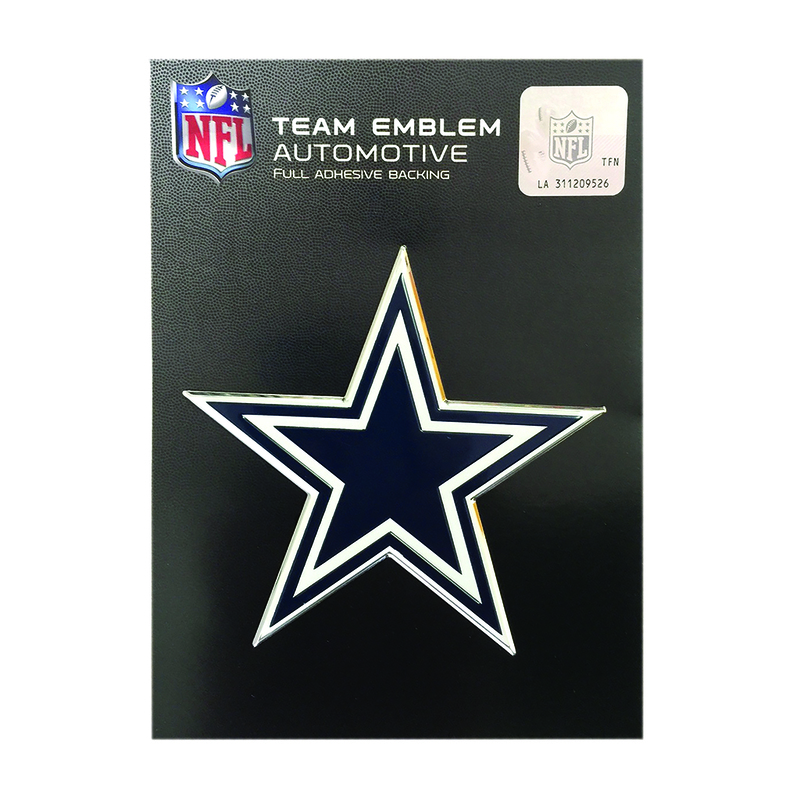 In addition, all Elektroplate chrome emblems are packaged in elegant retail packaging to make a great gift! FREE shipping on all orders. Emblems attach via a paint-safe adhesive foam tape. Won't be affected by extreme weather or car washes. Will not damage the paint on your car. Simple peel & stick application. ~ Mfr Catalog No. CE3NF09"